We have been in “go mode” since the beginning of the year. Even though we aren’t leaving for home assignment until July, we are already trying to get things in order to be able to help our co-workers transition well in our absence. We’ve been training, training, training! Shane and Shaun (yes, their names are a source of great confusion to many!) have been doing lots of traveling to introduce Shaun to some of their lead denominational partners. Shane also had a quick trip to the states for Sports Friends International Leadership Team meetings in February. Shaun has taken over the role of country director for Tanzania and Kenya and Shane is continuing to mentor him as he learns the ropes. This week the Sports Friends Kenya team has meetings with SF International leadership to help plan for the next few years. We continue to be thankful for such an awesome team of people to work with. Team matters a TON to us and this is a great one! Allyson has been doing trainings almost every week. A friend of ours who is a midwife in Rwanda, and a doctor from Waco also both generously came (at different times) and spent a few days helping teach some new courses. Our goal is to have every one of our midwives trained to the point that they are providing the most top notch care in all of Kenya. Kijabe has very high acuity maternity patients, which means we also see lots of pregnancy complications. We want to be able to care for these moms and babies with excellence. Knowledge is power and we are getting to watch our team become more and more powerful. 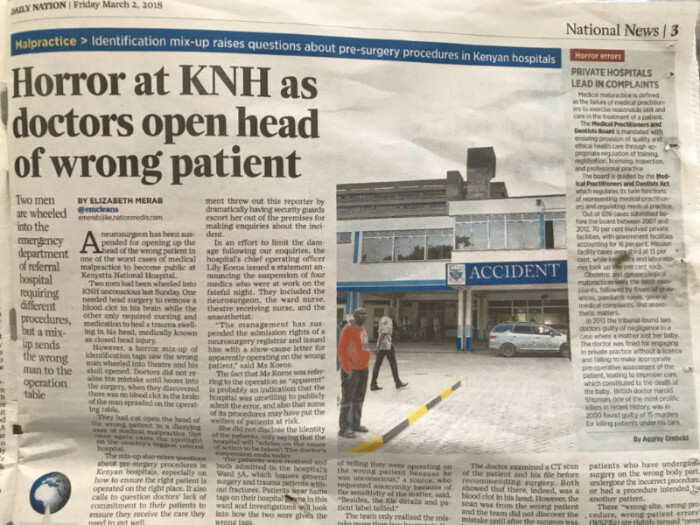 Believe it or not, a new doctor/nurse strike at the large national hospital in Nairobi began this week. The hospital accidentally did brain surgery on the wrong patient (!) a few weeks ago and the situation has now progressed into a full out strike on the part of the doctors and nurses at that hospital. As with the last strike, our patient load will dramatically increase. Here we go again. Please pray as our numbers are already rising and we are only 2 days in. Just to clarify our plans for next year, we are coming back to Texas after Mia graduates and will be there for next school year. We want to help Mia launch well and we will also be able to be there for Hannah’s graduation from A&M! How are we even old enough to have a kid graduating from college? Feels so crazy! Additionally, Allyson’s mom’s health is declining rapidly and we want to be able to take this time to help with her care. Both sets of our parents have been so incredibly gracious to give us their blessing as we serve overseas. We want to honor them well. Thanks for all you do to partner with us in our work here in Kenya!